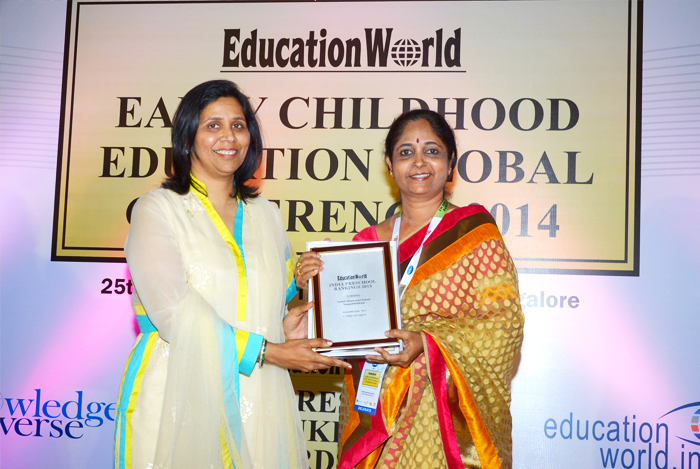 Srishti was awarded the fourth best playschool in chennai for the second consecutive year by Education World at the Early Childhood Education Global Conference 2014 in Bangalore. 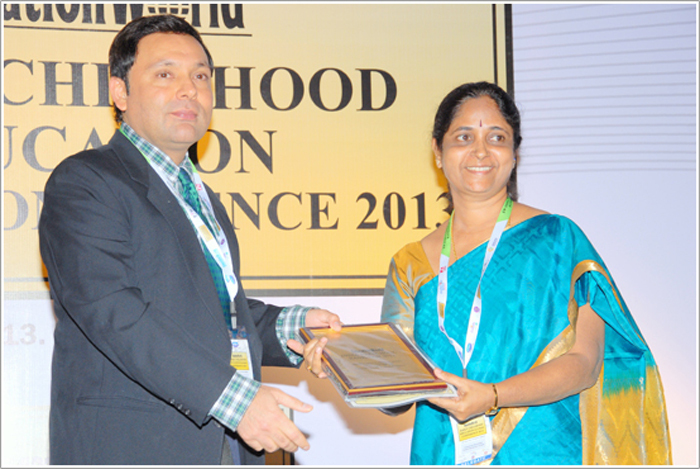 We were also awarded No.1 under the ‘Safety and Hygiene’ Parameter. 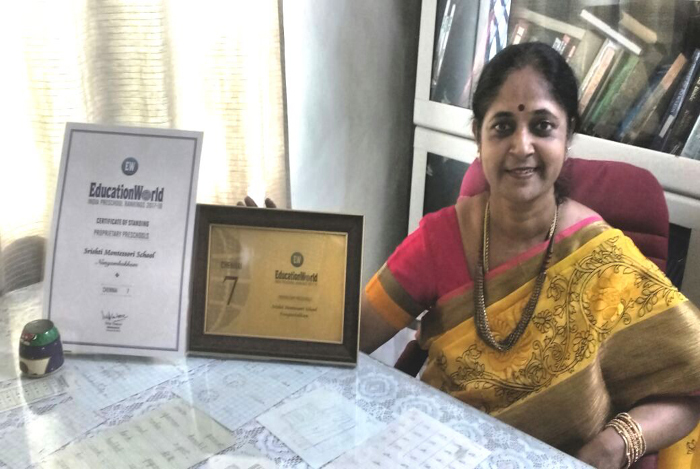 Srishti Montessori was awarded the tenth best play school in chennai for the third consecutive year by Educational World at the Early Childhood Education Global Conference 2015 in Bangalore. 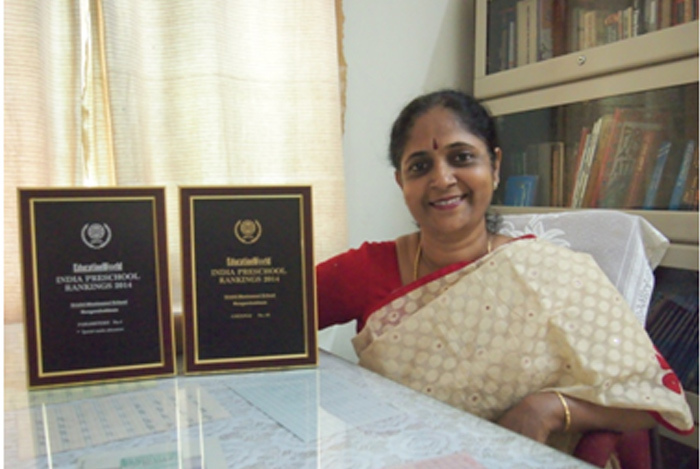 We were also awarded No.1 under the “Special Needs Education” parameter.